ST. GEORGE — A new flight connecting St. George and Phoenix-Mesa Gateway made its inaugural landing at the city-owned St. George Regional Airport Friday afternoon, bringing with it an affordable option for flights to and from southern Arizona. Allegiant Air’s Airbus A319 landed in St. George at approximately 3:20 p.m. where it received a traditional water cannon salute courtesy of fire engine crews from the airport and St. George Fire Department. The 40-minute flight arrived on schedule from Phoenix-Mesa Gateway Airport in Arizona. While that airport is located about 20 miles southeast of Phoenix, fares are often significantly less expensive than similar flights to and from Phoenix proper at Sky Harbor International. Promotional fares run as low as $49 before taxes and fees for roundtrip flights through Allegiant Air, with the tradeoff of a bit less legroom. 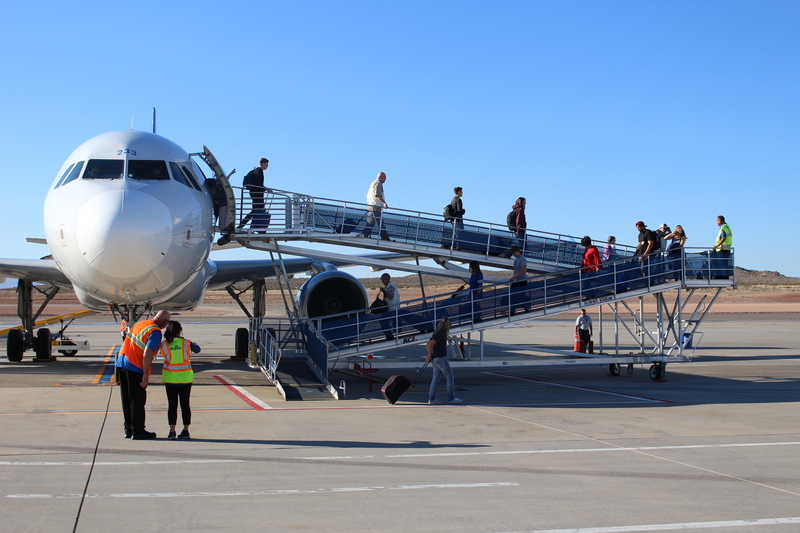 Demand for flights to and from St. George is certainly high; virtually all flights are full, regardless of destination, St. George City Manager Adam Lenhard said. The Phoenix-Mesa flight is currently scheduled to arrive and depart St. George Regional twice weekly, though additional flights may be added later. 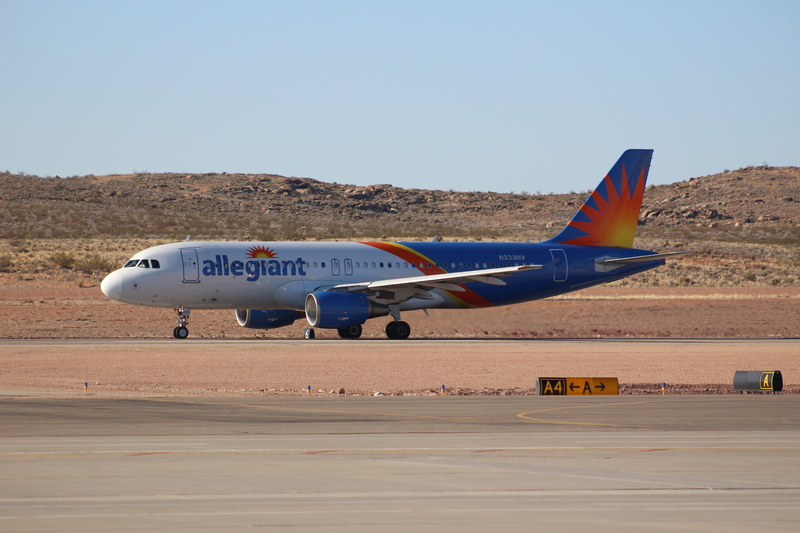 With the addition of Allegiant Air, the airport is now served by four airlines offering flights to and from Phoenix, Denver, Salt Lake City and Los Angeles. It’s also possible, Lenhard said, that additional airlines could decide to operate in St. George in the future. Residents and travelers also frequently request additional destinations. With a parking lot that’s often full to capacity, the additional flights will only add to the parking shortage. Fortunately, the city is already in the process expanding the parking area. The parking lot’s capacity will double next week when a portion of newly laid asphalt adjacent to the existing terminal parking is completed, Lenhard said. Does Allegiant Air’s to Phoenix-Mesa flight know about SGU being shut down next year for 4 months to redo the washed out runway here? …oh well, great news, not that I ever want to go to Phoenix, but if I have to, this is the deal…now if we could only get more flights from SGU to some of the smaller airfields in California? ONT? I expect that Allegiant knew in advance that the airport was to close for four months next Spring. Nonetheless, I can’t see why someone would want to fly into Mesa AZ, only to have to rent a car unless, perhaps, there are connecting opportunities. I’ll drive, thank you. To KR567, you’re correct. St George is St George. I can drive two hours to Vegas and fly anywhere in the world albeit with a few stops. All the airlines know that. I feel that St George is doing pretty well, airport wise, not counting the temporary interruption next year. I am all for additional flights…..all the ones that people are willing to buy tickets for. The City should not be using taxpayer dollars to pay for our travel. The airlines should not be expected to operate at a loss so somebody can go visit the grandkids. 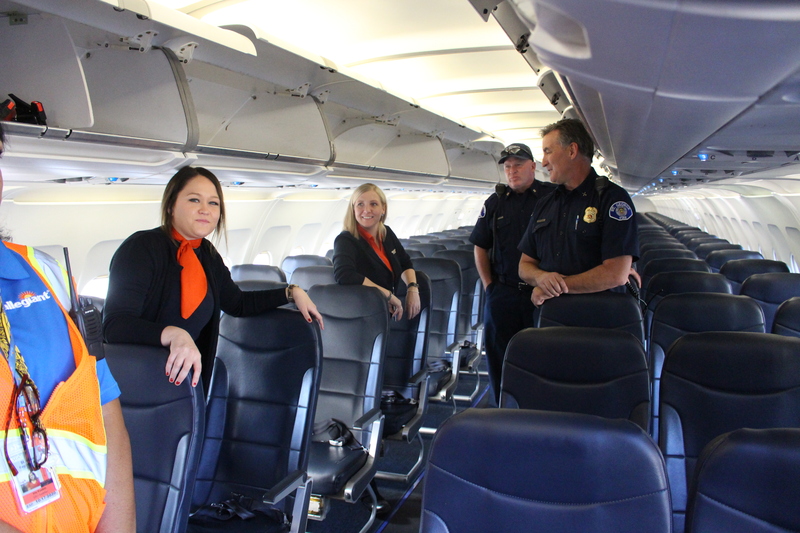 We have one of the premier regional airlines anywhere, right here in St George. And they have repeatedly said they will provide all the flights the community is willing to pay for. I’m sure other airlines feel the same. Well maybe SkyWest should just try some more routes out, we don’t know how a new destination would preform but if we could get more attempts at new air service “just for a few months” to start we’d probably have more routes. Apparently all the routes here seem to make money, let’s see if we can get more.